Big external battery has a lot of ports and holds a lot of juice. Editor’s note: This article is part of our roundup of USB-C battery packs. 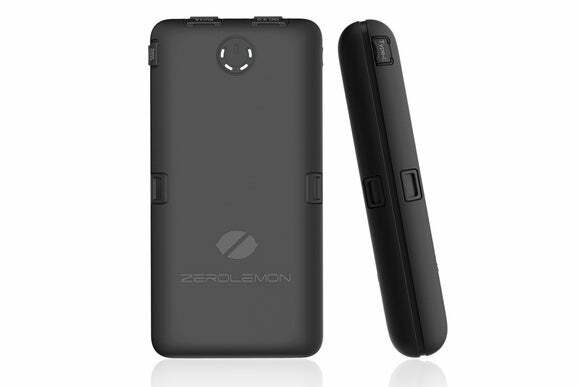 The ZeroLemon ToughJuice 30000mAh Dual Layer Rugged External Battery/Portable Charger ($90 on Amazon) is a relative monster of a battery. Weighing 1.5 pounds (not the 14 ounces noted in some of ZeroLemon’s marketing) and comprising 30,000mAh (114Wh) of capacity in its 7x3.5x1.25 in case, it sports six ports: five for charging, one for recharging. The ToughJuice puts that heft to good use, recharging a MacBook battery completely with at least 50-percent charge remaining. Now for the provisos. The ToughJuice took almost five hours to charge a sleeping MacBook, compared to about four hours using an Anker PowerCore+ 20100. 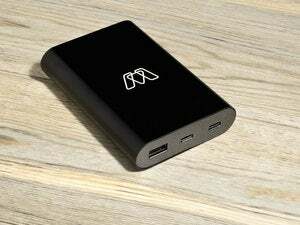 It also recharges itself very slowly, including only a Micro-USB Type-A jack that handles 5V at 2A (10W), meaning it will take 12 to 14 hours to replenish from fully depleted. While the ToughJuice has many onboard ports, they’re mostly very slow. Of the four Type-A ports, three feed out 5V at 1A, and the fourth (with a blue connector to make it obvious) offers QC 2.0 at from 5V at 2.4A to 12V at 1.35A. The QC 2.0 port also provides higher amperage power to iOS devices, though that’s not noted. A USB-C output port tops out a 5V at 2.5A (12.5W), far below the 15W offered by most of the batteries tested. In practice, it charged at about 8W, while the top-rated Anker was closer to 10W. The ToughJuice’s case is rugged and has a nice gripping surface. All the ports are covered with flaps, although I had a problem snapping some back in after they’d been open a while. A power button with four LEDs is located on both sides of the pack for convenience. Because the ToughJuice is so massive, you’ll need to be sure you’re within an airline’s rules for carry-on allowances; like all portable lithium-ion batteries, they can’t be checked in luggage. There’s no limit on lithium-ion batteries that are an integral part of a device or are locked in place, nor for portable packs of 100Wh and lower. For packs from 101 to 160Wh, the FAA imposes a limit of two per passenger, and airlines can make their own decisions about whether to allow any. Checking the websites of major airlines, it seems that all permit them, but it’s possible you’ll need to take the battery out for examination, and show the watt-hour number, which is printed in faint, tiny type along one edge. The ToughJuice includes a micro-USB to Type-A cable and a one-year warranty. 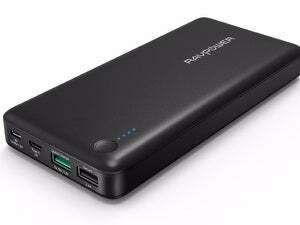 While I can’t recommend the ToughJuice for everyone, it’s definitely the right battery for extended trips away from power where you need almost continuous laptop access—like a long-haul international flight without a power outlet at hand.